An amazing thing is happening in Nunhead. When the last landlord was evicted from the local pub last year and developers eyed the property, people from the community stepped up to save it. They didn't just create an epetition or lobby local councillors. They organised, mobilised, researched, fundraised and bloomin' well managed to buy the freehold to the Ivy House on Stuart Road within 12 hectic months. This is a community boozer that's not going to be left standing sadly empty. Neither will it be hacked into flats or sucked up by a corporate pubco and ruined. The grade II listed building will be London's first co-operative pub, community hub and performance space thanks to its listing as an "asset of community value" under the new Localism Act. The freehold may be in the bag, thanks to loan finance from the Architectural Heritage Fund and a grant from the Social Investment Business Group, but now the pub needs doing up, staffing, stocking and opening. 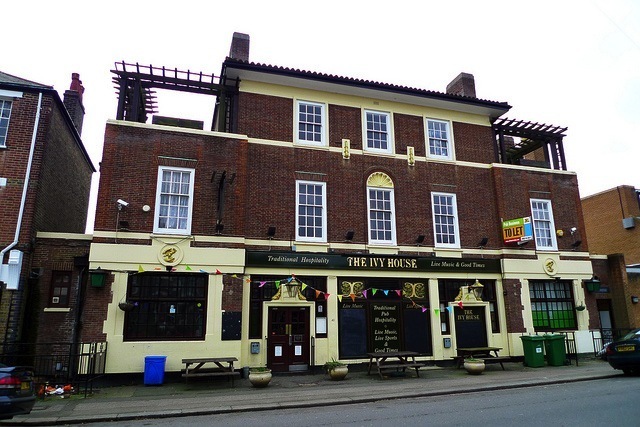 A community share offer is what's going to get the Ivy House up and trading and anyone with an interest in Nunhead or local pubs in general is invited to invest, from as little as £200. Interested parties can consult the website, where they will find a share prospectus and business plan, for more information. There's also a public meeting at the pub on Sunday 14 April at 10.30am where potential investors and local people are invited to come and find out more about the project and share ideas. What's happening in Nunhead is groundbreaking and an inspiration for other London locales losing their pubs to supermarkets, developers and the economic crisis. Ivy House shows that you can do something about it, if you've got enough local support. Keep an eye on the People's Pub Partnership this year – one of the entities that's been helping Ivy House behind the scenes – a new kind of pubco that's committed to keeping pubs at the centre of communities. All power to the people and their pubs!